So Bathsheba went to see the aged king in his room, where Abishag the Shunammite was attending him. Bathsheba bowed down, prostrating herself before the king. She said to him, 'My lord, you yourself swore to me your servant by the Lord your God: "Solomon your son shall be king after me, and he will sit on my throne." But now Adonijah has become king, and you, my lord the king, do not know about it. He has sacrificed great numbers of cattle, fattened calves, and sheep, and has invited all the king’s sons, Abiathar the priest and Joab the commander of the army, but he has not invited Solomon your servant.' "
As David approaches the end of his reign on his death bed, Adonijah, who, since Absalom’s death, was the next in line for the throne, begins preparations to receive the throne of his father David. This is proper and appropriate since this was in keeping with the culture and customs of the Near Eastern people. Adonijah first secures the support of the military when he confers with General Joab. Next mentioned is the High Priest Abiathar who also is willing to recognize and support Adonijah as the next king. The chariot, the royal runners (a personal body guard which most likely included some counselors and noble men of rank and power) and the anointing feast where prepared. The sacrifices and anointing was to take place at En Rogel (Image). En Rogel was the second of two water sources in the Kidron Valley. 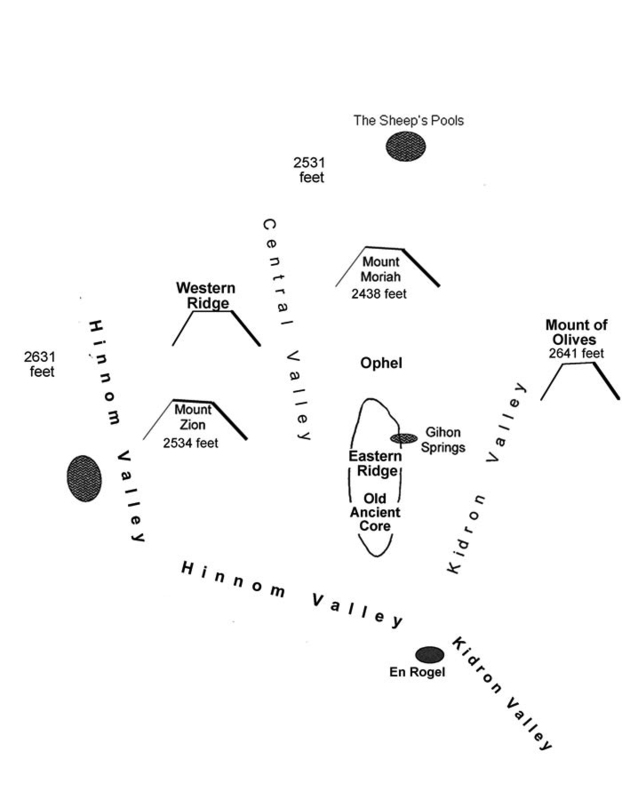 The first and main source was the Gihon Springs. The springs of En Rogel were south of the Gihon Springs in the junction of the valley where the Hinnom Valley meets the Kidron Valley. This is the likely location of the King’s Gardens mentioned by Solomon and where Abraham met with Melchizedek in Genesis 17 in the Valley of Shaveh, or the King’s Valley. So, when Nathan heard of Adonijah’s preparations he sought an audience with Bathsheba, and asked her to go into the dying king to ask what his intentions where and to tell him that Adonijah’ has his anointing and inauguration party planned. It is interesting the see David, Bathsheba and the prophet Nathan interacting together to bring about God’s plan in their old age when it was a much younger Nathan who confronted the young King David for inappropriately taking another man’s young, beautiful wife, Bathsheba. Now the three of them were coming together to put David and Bathsheba’s son, Solomon on the throne of Israel because he was the Lord’s choice. Do I trust God's promise? Am I willing to live and act on God's truth? I will trust God and act on his promises. 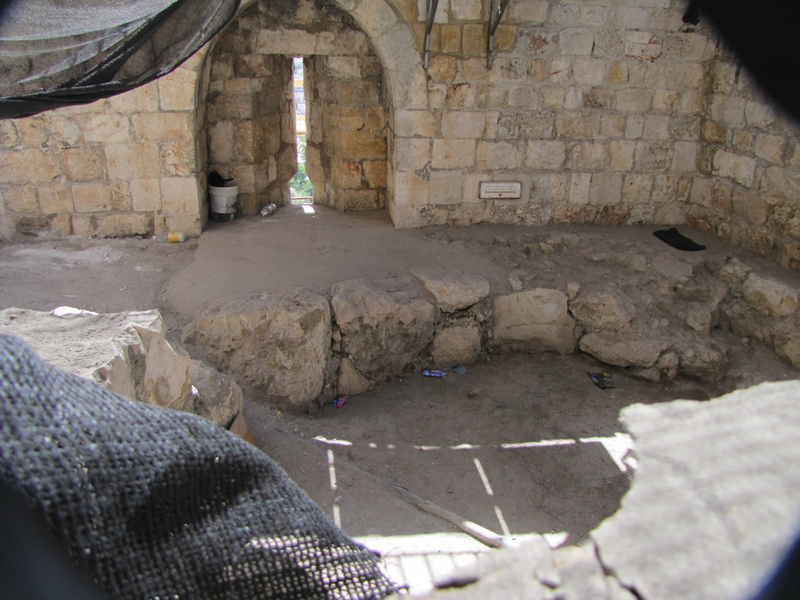 One of the remaining apses from the front of the Nea Church now located in Jerusalem's Old City wall on the south side. The topography of the land of Israel as viewed from the east. It appears that before the fall of man in Genesis 3 that man was created to live forever, all animals lived together peacefully as vegetarians and food grew abundantly in the wild. In Acts 16:8-11 Paul was staying in the city of Troas. The ruins of this city have been excavated, but much of the remains of the walls, the theater, the temple and the gymnasium from Paul’s day had already been carried off and reused by builders of other generations. Troas was an important city that had been built to replace the fallen city of ancient Troy, which was just to the southwest. "The lips of the wise spread knowledge, but the hearts of fools are not upright." Organization frees your soul, makes your thoughts clear and looks appealing to the natural eye. 3 Moreover, David defeated Hadadezer son of Rehob, king of Zobah, when he went to restore his monument at the Euphrates River. 4 David captured a thousand of his chariots, seven thousand charioteers and twenty thousand foot soldiers. He hamstrung all but a hundred of the chariot horses. 7 David took the gold shields that belonged to the officers of Hadadezer and brought them to Jerusalem. 8 From Tebah and Berothai, towns that belonged to Hadadezer, King David took a great quantity of bronze. 9 When Tou king of Hamath heard that David had defeated the entire army of Hadadezer, 10 he sent his son Joram to King David to greet him and congratulate him on his victory in battle over Hadadezer, who had been at war with Tou. Joram brought with him articles of silver, of gold and of bronze. 11 King David dedicated these articles to the Lord, as he had done with the silver and gold from all the nations he had subdued: 12 Edom and Moab, the Ammonites and the Philistines, and Amalek. He also dedicated the plunder taken from Hadadezer son of Rehob, king of Zobah. 15 David reigned over all Israel, doing what was just and right for all his people. 16 Joab son of Zeruiah was over the army; Jehoshaphat son of Ahilud was recorder; 17 Zadok son of Ahitub and Ahimelek son of Abiathar were priests; Seraiah was secretary; 18 Benaiah son of Jehoiada was over the Kerethites and Pelethites; and David’s sons were priests. or they will tear me apart like a lion and rip me to pieces with no one to rescue me. Let the assembled peoples gather around you, while you sit enthroned over them on high. Let the Lord judge the peoples. Vindicate me, Lord, according to my righteousness, according to my integrity, O Most High. Bring to an end the violence of the wicked and make the righteous secure— you, the righteous God who probes minds and hearts. God is a righteous judge, a God who displays his wrath every day. Do not turn me over to the desire of my foes, for false witnesses rise up against me, spouting malicious accusations. “I am unworthy—how can I reply to you? I put my hand over my mouth. Do you have an arm like God’s, and can your voice thunder like his? look at all who are proud and humble them, crush the wicked where they stand. What strength it has in its loins, what power in the muscles of its belly! Its tail sways like a cedar; the sinews of its thighs are close-knit. It ranks first among the works of God, yet its Maker can approach it with his sword. The hills bring it their produce, and all the wild animals play nearby. The lotuses conceal it in their shadow; the poplars by the stream surround it. A raging river does not alarm it; it is secure, though the Jordan should surge against its mouth. Can anyone capture it by the eyes, or trap it and pierce its nose? [a]“Can you pull in Leviathan with a fishhook or tie down its tongue with a rope? Will traders barter for it? Will they divide it up among the merchants? Can you fill its hide with harpoons or its head with fishing spears? If you lay a hand on it, you will remember the struggle and never do it again! Any hope of subduing it is false; the mere sight of it is overpowering. No one is fierce enough to rouse it. Who then is able to stand against me? “I will not fail to speak of Leviathan’s limbs, its strength and its graceful form. Who can strip off its outer coat? Who can penetrate its double coat of armor[b]? Its snorting throws out flashes of light; its eyes are like the rays of dawn. Strength resides in its neck; dismay goes before it. The folds of its flesh are tightly joined; they are firm and immovable. The sword that reaches it has no effect, nor does the spear or the dart or the javelin. Iron it treats like straw and bronze like rotten wood. Its undersides are jagged potsherds, leaving a trail in the mud like a threshing sledge. It leaves a glistening wake behind it; one would think the deep had white hair. Nothing on earth is its equal— a creature without fear.